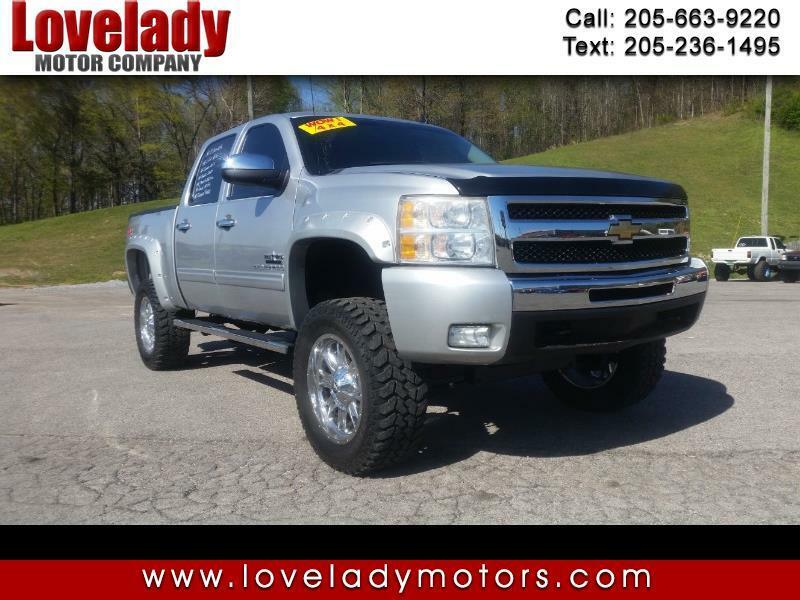 Used 2011 Chevrolet Silverado 1500 LT Crew Cab 4WD for Sale in Pelham AL 35124 Lovelady Motor Company, Inc. Standing tall and looking sharp, this sweet 2011 Chevy Silverado 4 x 4 truck is a sure fire way to stand out of the pockup truck crowd. This Texas edition Chevy sits on a lift kit and boasts the Chrome pack, featuring 20in chrome wheels, chrome running boards, as well as unique badging to distinguish it from run-of-the-mill Silverados. This sharp Chevy is barely broken in and has not yet hit a hundred thousand miles. Inside and outside its cosmetic condition is clean,and one glance at the undercarriage can tell you that this truck is more Cruiser than Bruiser and has not been abused on rocks and trail. It's sturdy 5.3 L V8 has proven itself to be an excellent motor capable of achieving high mileage and running smooth. The transmission shifts up and down with no drama, and the 4X4 system works flawlessly. This beautiful truck drives as good as it looks and has been inspected by Southern Off Road and is ready to roll. Call 1 888 4X4 Outlet and ask for Stephen or Keith for more information. Thanks for looking!